You might remember a couple of months ago I wrote about how I had been decluttering and organising the boys' toys with the hope of creating a lovely play space filled with brightly coloured, wooden toys that will last for years to come. I'm terrible at completing anything in one go (and to be fair I did have a baby and get married!) but we have managed to get rid of anything broken or outgrown, and have been getting rid of any toys they just aren't interested in. The aim is to have quality over quantity; fewer but better quality toys, games and puzzles, and to have things that they will actually love playing with and make use of. I've not completely gone plastic-free - I mean, there are some pretty cool toys out there that are plastic - but I'm being more choosy about what they have and trying to put more thought into what I get for them. Noah has this thing about jigsaw puzzles and I love that he loves them. And he is so good at them! He's been really into them since he was about two years old and amazed us with his ability to complete them. We bought puzzles with more and more pieces and he'd just do them without any help! 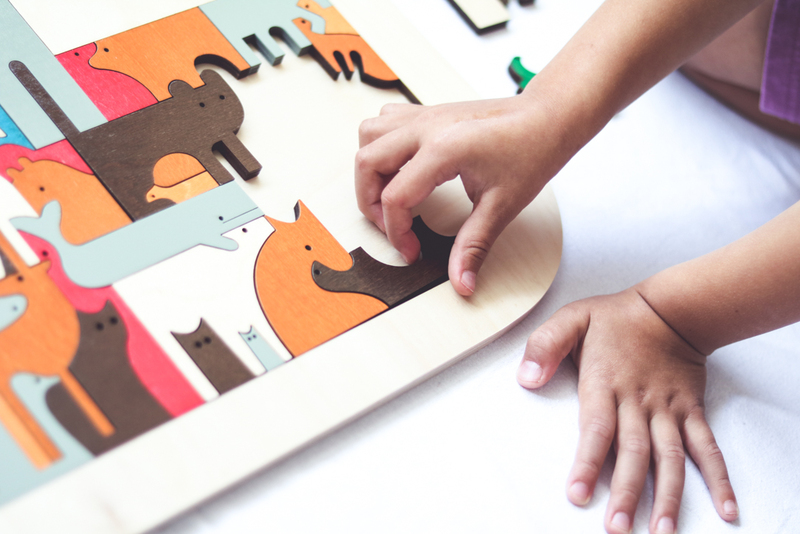 This George Luck Ark puzzle from Hape Toys is really cool and really clever. It's like a piece of art, I almost didn't want to let Noah loose with it! 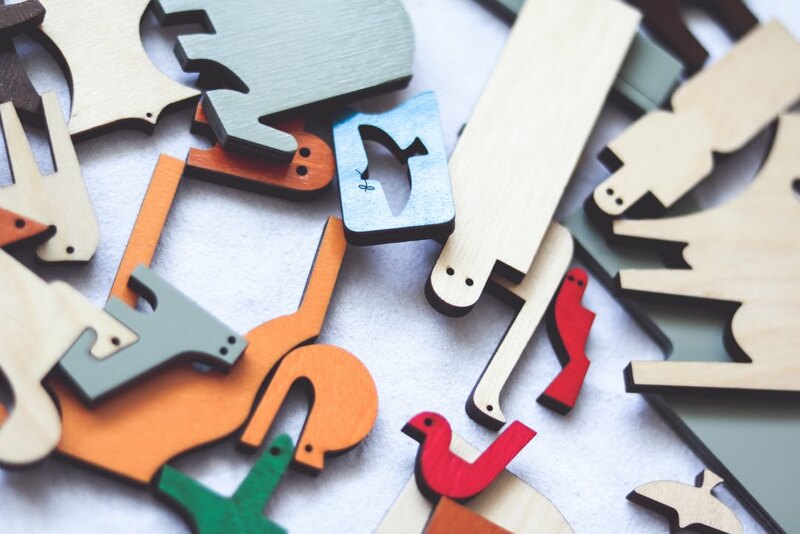 There are 62 beautifully crafted, colourful pieces, all made out of wood. It is completely child safe with non-toxic finishes and water-based paints. 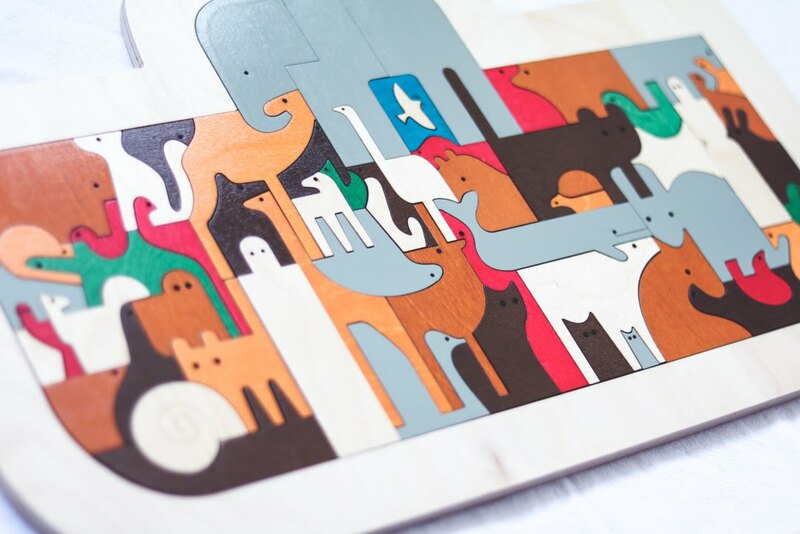 Each animal except for the elephant is a single puzzle piece. At first glance it looks really complex as it's not the traditional kind of jigsaw puzzle shape, but if you begin by fitting all the edge pieces you'll soon realise it's not as hard as it looks. 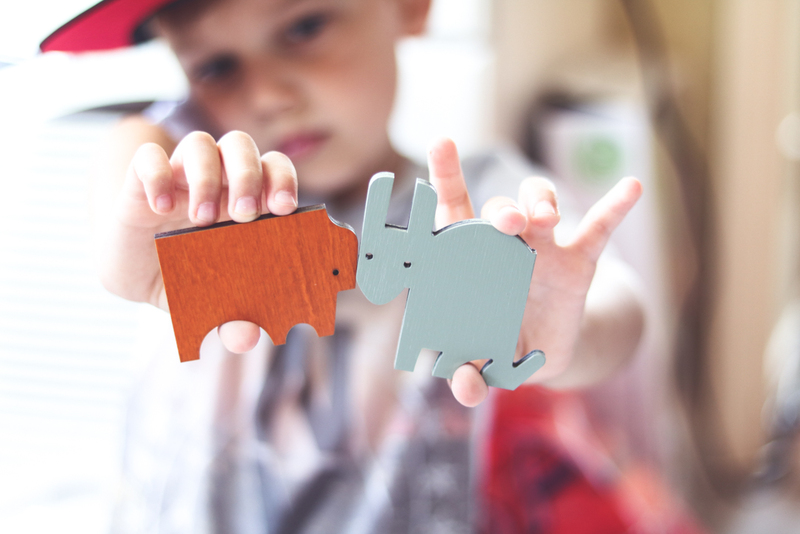 It really gets Noah thinking: instead of trying to piece together a picture like a regular jigsaw puzzle, he has to match shapes, for example, looking for a space that looks like the ears of the rabbit, or searching for the space that will fit the whale's tail. As well as helping Noah's dexterity and hand-eye coordination, we talk about the animals as we complete the puzzle which helps his speech and vocabulary. We're not sure what animals some of the shapes are, so we have fun sharing our ideas on what they might possibly be. It's also fun to count the animals, seeing how many of each colour we can find. Hape's George Luck Ark puzzle is recommended for ages 6-10 years old; Noah might only be coming up to age 5 but he really enjoys completing this puzzle and, actually, so do I! Hape's George Luck Ark Puzzle costs £39.99 and you can find it here. With thanks to Hape for sending the puzzle for review.